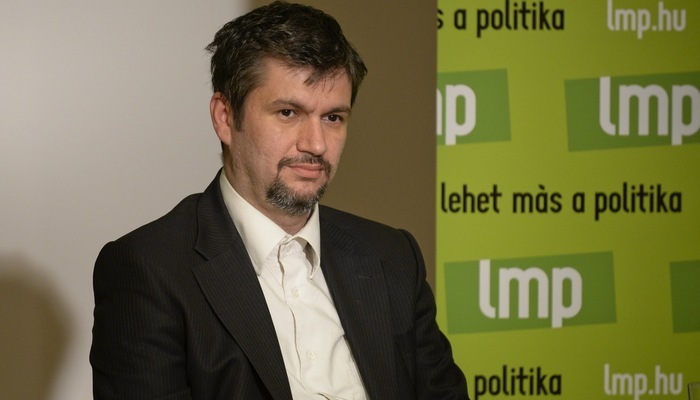 Anti-corruption spokesperson Ákos Hadházy is the sole candidate to be the new co-chair and parliamentary member of Politics Can Be Different (Lehet Más a Politika – LMP), reported the Hungarian State News Agency, MTI. The party congress will vote on his appointment on July 16. Former co-chair András Schiffer announced at the end of May that he would be resigning his mandate and leaving politics entirely. The announcement took his own party by surprise, including party co-chair Bernadett Szél. Many believe his decision was prompted by disagreements within LMP itself. Hadházy, a former Fidesz assemblyman in Szekszárd, quit the governing party in 2013 and went public with the fact that potentially lucrative government tobacco retailing franchises had been awarded in Szekszárd strictly on the basis of loyalty to Fidesz. Joining LMP in 2014, he has devoted himself to investigating and exposing instances of corruption and waste. The politician told MTI his two priorities are bringing about a change in government and putting the country on a completely different political path, including ending corruption and maintaining a predictable economy. “Other opposition parties will also have to cooperate,” he added. LMP recently announced that it would remain independent going into the 2018 election. Szél emphasized that the party philosophy would remain unchanged with respect to protecting its independence, but it remained open to cooperating with other opposition parties on legislative matters.